December 6: Tartu Blues Society's 15th anniversary at Illegaard in Tartu, with Dave Arcari (UK), Alar Kriisa & Vilho Meier, MOduo, Randal Duo, and Andres Roots, Peeter Piik & Les Wilson (UK). December 7: the official launch party of University of Tartu Library's music department's new location with Andres Roots, Peeter Piik & Les Wilson (UK) (afternoon show: the events starts 1 p.m. already!). 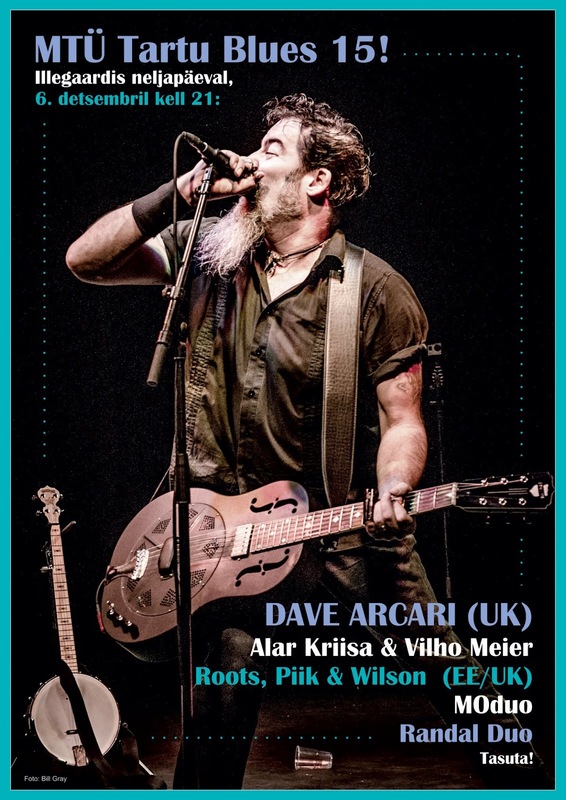 December 8: Barbar in Tallinn, with Dave Arcari (UK), Andres Roots, and Mad Harley.